Optimize FM Facility Management Software Upgrade Adds Mixed Reality, Key Performance Indicators and Simple Security. One of the most appealing aspects of the software is the simple pricing model. Optimize FM is licensed per concurrent user, not per named user, and all functionality is included in each license - meaning you need a lot less licenses”, says Joe Jurzec, Managing Partner. Best CMMS LLC announced today version 2 of its Optimize FM Enterprise Facility Management Solution. This version includes an improved user interface (UI) and dozens of new features designed to improve efficiency, ease-of-use and productivity. The new Optimize FM delivers the advantages of mixed reality solutions without the complexity and cost. Beyond data-enabling CAD drawings, it provides the ability to overlay data onto images (including 360-degree photographs) allowing users to leverage these capabilities on-location or remotely. Responsive design provides a great user experience on the desktop, tablet or smartphone. A user definable Dashboard supporting unlimited key performance indicators (KPI), widgets and reports allows each user to immediately be presented with the specific information required to better manage their responsibilities. At a glance, users see the numbers, graphs and charts most relevant to their job and can drill down to greater detail with a single mouse-click. HR can see space utilization and move information, Facilities can see demand and preventive maintenance tasks and Finance can be alerted to costs and allocations. Comprehensive security options allow the user experience to be tailored to the unique needs of users at all levels in the organization. 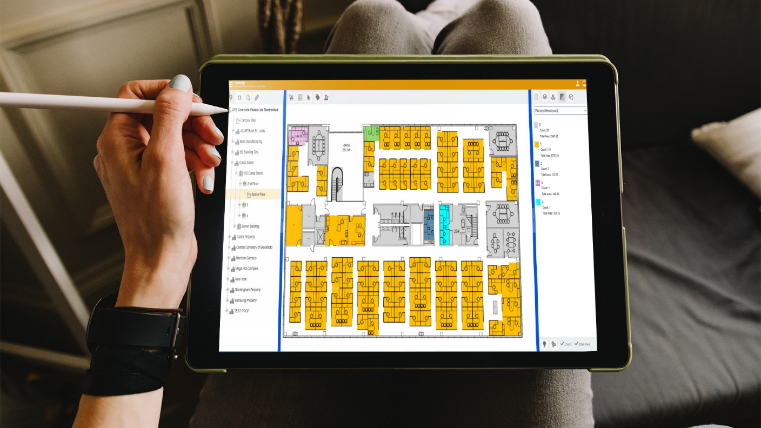 A simple point-and-click interface allows for quick setup of rights and roles down to the field level, including Property and Building filters. In some cases, it may seem like people are using different programs, but they are all sharing the same data. Other enhancements include faster load times, easier data import and export, risk assessment, new reports, regulatory compliance and greater PM scheduling options. 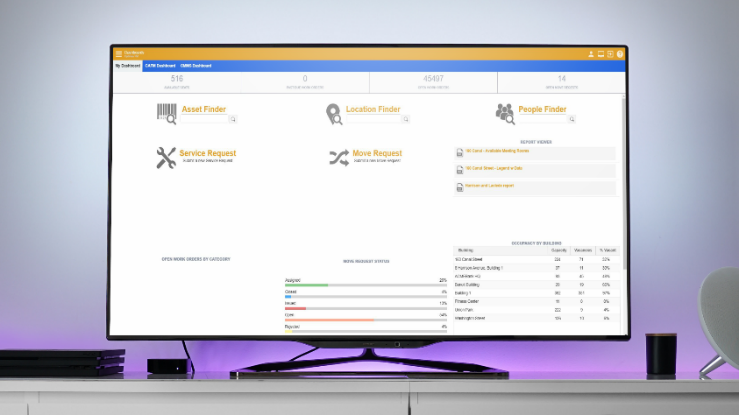 The new Data Broker makes it easier to consume data from multiple concurrent external databases – pull in and respond to IoT (Internet of Things), BAC (Building Automation Controls), Human Resources or any other applicable data sources. Combined, these improvements contribute to better resource utilization, reduced costs and a better workplace experience. “In addition to all the great new features in Optimize FM v.2, one of the most appealing aspects of Optimize FM is the simple pricing model. 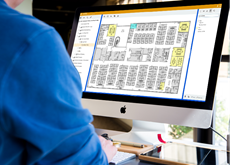 Unlike most facility management software products, Optimize FM is licensed per concurrent user, not per named user, and all functionality is included in each license - meaning you need a lot less licenses”, says Joe Jurzec, Managing Partner. Space Untilization on a Tablet PC -Manage space on-the-go from your tablet. Optimize FM Key Performance Indicators -View KPIs, graphs and reports from the Dashboard. 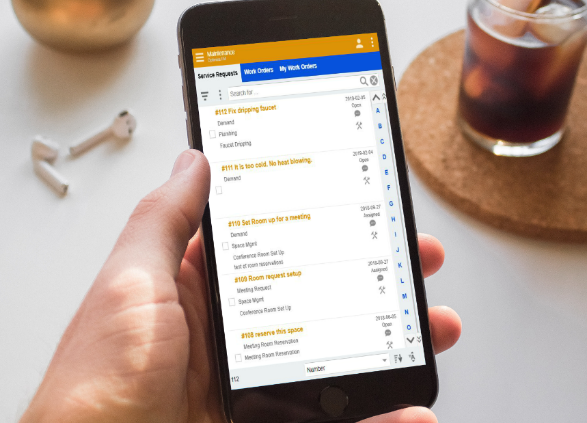 Work Orders on a Phone -Manage work orders on your smart phone.